I enjoy writing this blog with a bit of an “on the road with the Bookmobile” air, or telling of books that represent a trend or theme. So many interesting and noteworthy new books have come out in the last week that I have to just rattle off a bunch of them. Each truly deserves greater promo, and I feel sheepish not giving them their due. Trust me, though: these look like winners, and I wouldn’t list ’em if I weren’t convinced they are worthy of you, the faithful BookNotes reader. Here’s some of what’s on the Hearts & Minds new book table. 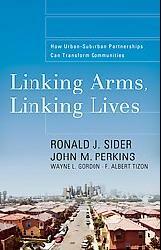 Linking Arms, Linking Lives: How Urban-Suburban Partnerships Can Transform Communities Ronald J. Sider, John M, Perkins, Wayne L. Gordon and F. Albert Tizon (Baker) $14.99 These four men are leaders in their own ways, I’ve met each one, and can vouch for their integrity, experience, thoughtfulness, balance and passion. As Shane Claiborne puts it, “the harmony of voices that created this book are contemporary heroes of the faith whose experience bring their words to life.” There is nothing quite like this in print and it is very, very useful. I wish we could convince many, many people to buy this and pass it on to their church leadership, mission-minded friends and those willing to dream of new and fruitful partnerships. Packed full of stories, tons of testimony and lots of very doable plans and ideas. A Deadly Misunderstanding: A Congressman’s Quest to Bridge the Muslim-Christian Divide Mark D. Siljander (HarperOne) $24.95 Keep your eyes peeled for serious reviews of this, and expect some serious criticism from the hard anti-Muslim right and the dangerous Islamic extremists. He argues for bringing Islam and Christianity closer together, in part influenced by his understanding of Aramaic. Interestingly, the forward is by Ban KI-moon (Secretary-General of the United Nations) and there is an endorsement by James Baker (former U.S. Secretary of State and Chairman of the Iraq Group.) Yet, this can’t be pegged as goofy idealism with rave endorsements by the likes of Christian aplogists to Muslims, Dr. Ergun Caner, conservative pundit Cal Thomas and Dr. Douglas M. Johnston, president of the international Center for Religion and Diplomacy. When guys like pomo justice activist Brian McLaren and Dr. Edwin Meese, now of the Heritage Foundation, both endorse a book, it is truly exceptional. Read an excerpt of it here and then come on back and take us up on our blog special offer, shown belowl. William Wilberforce: The Life of the Great Anti-Slave Trade Campaigner William Hague (Harcourt) $35 This weighty volume was first released in England to rave reviews and just came out last month here in the states; we ran into a lawyer at the Christian Legal Society international conference last week who had already finished it, and he raved. Hague, himself a politician as well as an historian, is best known by period specialists for his suburb biography of Wilberforce’s friend and Prime Minister, William Pitt. Magnificent. 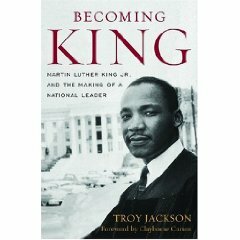 Becoming King: Martin Luther King, Jr. and the Making of a National Leader Troy Jackson (University of Kentucky Press) $35 I know that King biographies comprise a genre unto themselves, and many are near classic in stature. This brand new one, still, stands out. Troy is a good, good man, a dear pastor of a church in Cincinnati, and I’ve come to know him a bit. He had the privelege of editing some of Dr. King’s sermons and knows the matieral better than even most scholars. This is rich, interesting stuff, written by a top-rate historian and contemporary urban activist. This book focuses on the Montgomery experience, and how the folks—-yes, like Rosa Parks—shaped Martin’s self-identity. 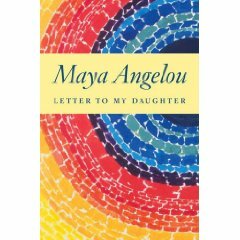 It is a part of the esteemed “Civil Rights and the Struggle for Black Equality in the Twentieth Century” series, and is going to be getting great reviews. Kudos. $18.99 This is amazingly clear and fun stuff; who knew this esteemed New Testament scholar (and inspirational writer of the best-selling Jesus Creed and the companion 40-Days With the Jesus Creed) was so funny. These have to be mostly transcripts of talks because there are clever asides and cool parenthesis and wise-cracks and storied illustrations. Yes, this is easy to read and fun. Yet, he is working on genius level stuff, here, how to read the Bible well, how to pursue what Alan Jacobs calls in his mammoth book on a theology of reading “a hermeneutic of love.” McKnight warns us against shortcuts and dumb ways to mis-take the text, and aligns us with God’s ongoing historical work as the Story continues to unfold in our own faithful engagement of it. 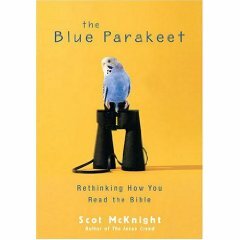 As John Ortberg says, “Blue Parakeet is the book Scot McKnight was born to write. If you are interested in the Bible, or God, or your mind, or where these three might intersect, you will be blessed if you read this book.” We agree. Hearts & Minds 234 East Main Street Dallastown, PA 17313. So many good things coming out…I want it all!! !